CHELSEA space presents a rare opportunity to view previously unseen material from the Museum of London and British Record Shop Archive collections, concerning one of the world's greatest record shops. 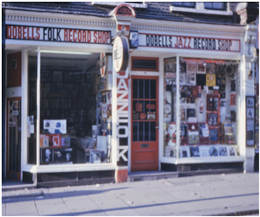 Dobell’s (1946-1992) was a significant meeting place for fans of jazz, folk and blues. This exhibition explores Dobell’s position as a retail environment, information network, cultural landmark and social hub through archive artefacts, ephemera, photographs (including photographs by jazz photographer David Redfern commissioned by Dobell’s to celebrate the Newport Jazz Festival in London in 1967), and graphics. Doug Dobell began selling collectable and imported jazz records in 1946 at his family's rare books shop at 77 Charing Cross Road. In 1957 he started up the 77 record label and was instrumental in developing, recording and marketing jazz, blues, folk and world music in the UK. At a later point 75 Charing Cross Road next door to the original store, was used to house the Dobell’s Folk Record shop section. Prominent US musicians could be found dropping into Dobell’s including Muddy Waters, BB King, Roy Eldridge, Ben Webster, Red Allen and members of the Ellington band. A young Bob Dylan recorded in the small basement studio there in 1963 and Janis Joplin would visit with a bottle of Southern Comfort as a gift for the staff of the store. Dobell’s stocked American blues 78s, 45s and LPs and many British music fans got their first ever taste of Mamie Smith, Leadbelly and Big Bill Broonzy there. The imported US records purchased at the record shop inspired such pioneers of British jazz and blues as Alexis Korner, Cyril Davies and Chris Barber (amongst many others). All the bands of the British Blues explosion: The Rolling Stones, Led Zeppelin, Cream and Fleetwood Mac shopped there. Martin Carthy, Dave Swarbrick, Mac McGann, Bert Jansch, The Vipers Skiffle Group, Lonnie Donegan and other folk musicians raided the shop's racks of Woody Guthrie and Cisco Houston records. David Bowie was also a regular customer during the early 1960s. 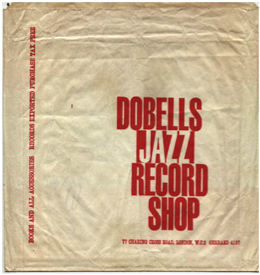 Dobell’s provided a network for British Jazz musicians including Tubby Hayes, Ronnie Scott, Johnny Dankworth, Vic Lewis, Harry Beckett, Ian Carr, Mike Westbrook and many others who would meet there to check out the new imports in the listening booths and chat about the latest sounds. Such was the standing of Dobell’s, that it found its way into literature and new immigrants to London from former colonies and war torn nations would also visit, as Dobell’s was one of the only shops in London to stock African, Irish, Yiddish and music from other parts of the world. This exhibition recalls an era when a specialist record shop helped shape the nation's underground cultural scene. The exhibition takes place to coincide with Record Store Day UK, which occurs on Saturday 20th April 2013. A programme of events will take place to accompany the exhibition, including talks, open decks sessions and live music.